On our Quadratics Quiz on graphing using standard, vertex, and intercept form we had an average of 85% and a median of 91% for our two classes. 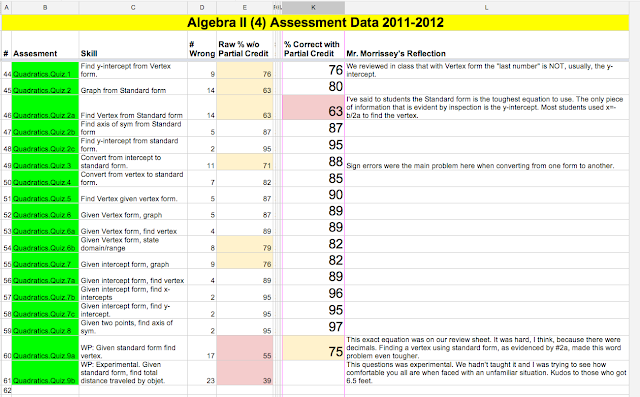 These results are based on 38 students. Below is my Google Doc with the questions and results. The "raw" scores represent whether or not a student got the question completely right as in the MCAS and SAT that don't award partial credit. The "Partial Credit" column is the class average when partial credit for correct work is taken into account. Let's look at some common errors as we all make mistakes and strive to learn from them. 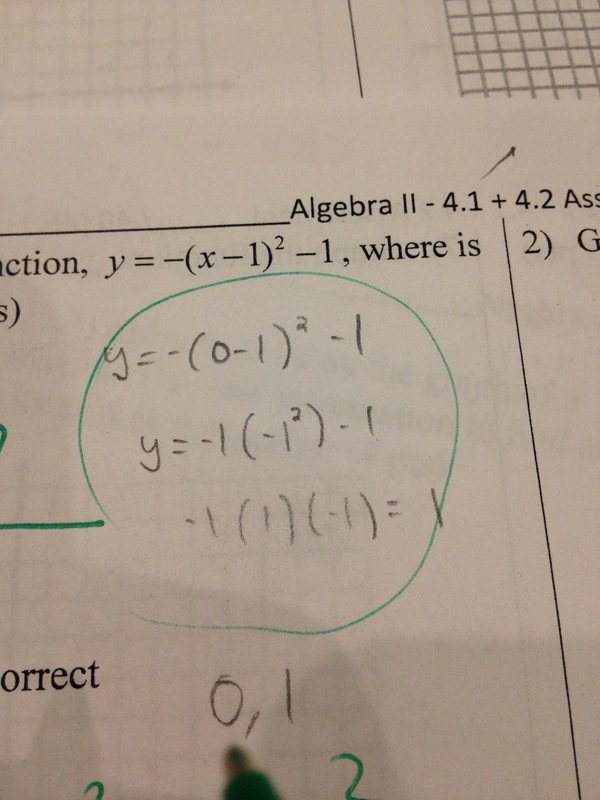 Below, the student made an error with the "-1" at the tail end of the equation. 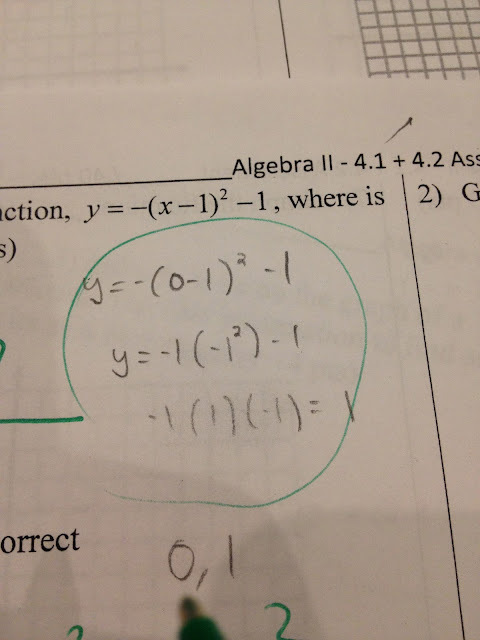 Below, the "3" was distributed to the (x-2) term and to the (x+5) term. 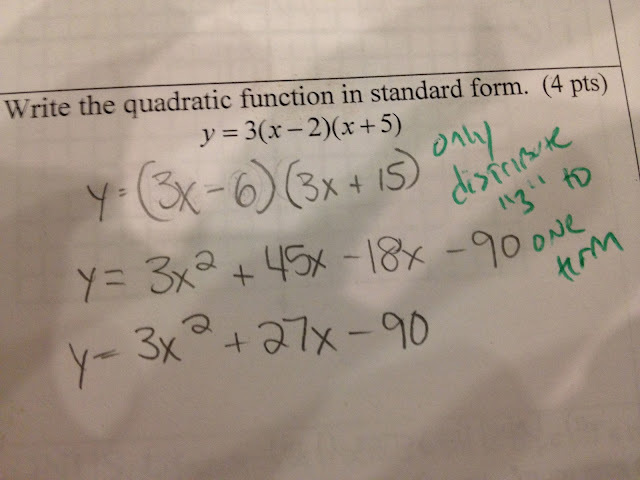 The 3 should only be distributed to either the (x-2) OR the (x+5) term. 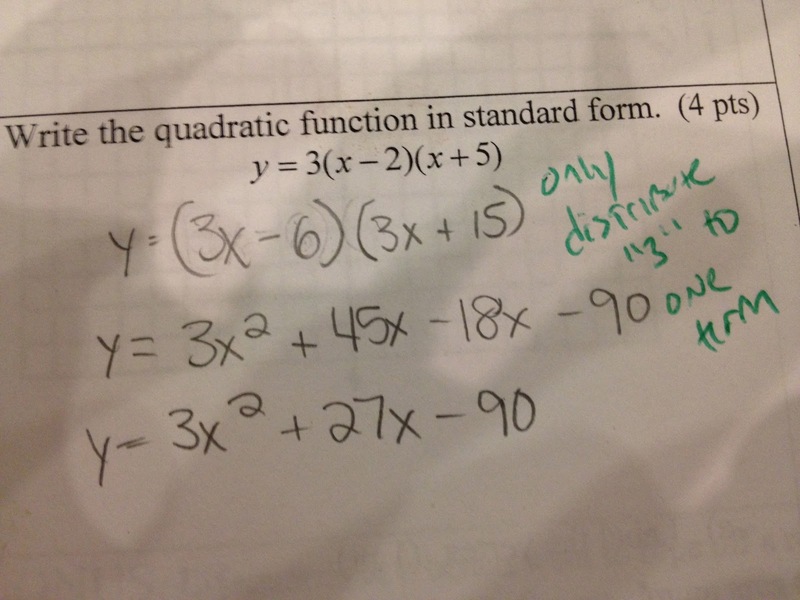 Below, It looks like the student was finding the y-intercept by making x equal to zero. In the last step the multiplication becomes addition by removing the parenthesis. Also, notice that (2,0) is NOT the y-intercept. 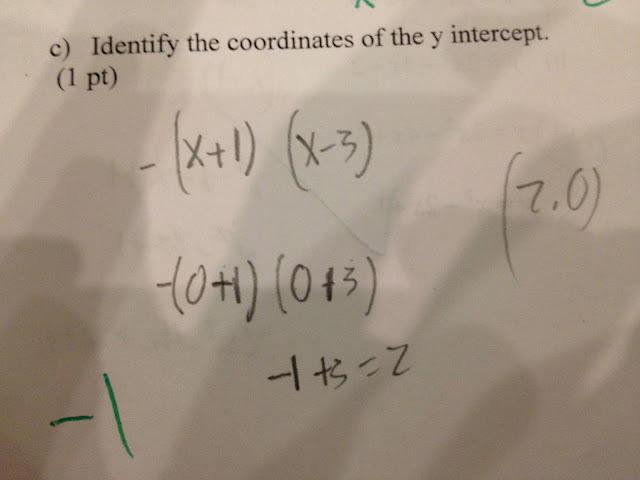 A y-intercept is in the form (0, y-intercept).